Thorough, good-quality IT solutions simplify forest managing, maintenance, and harvesting by granting a clear and efficient work process. 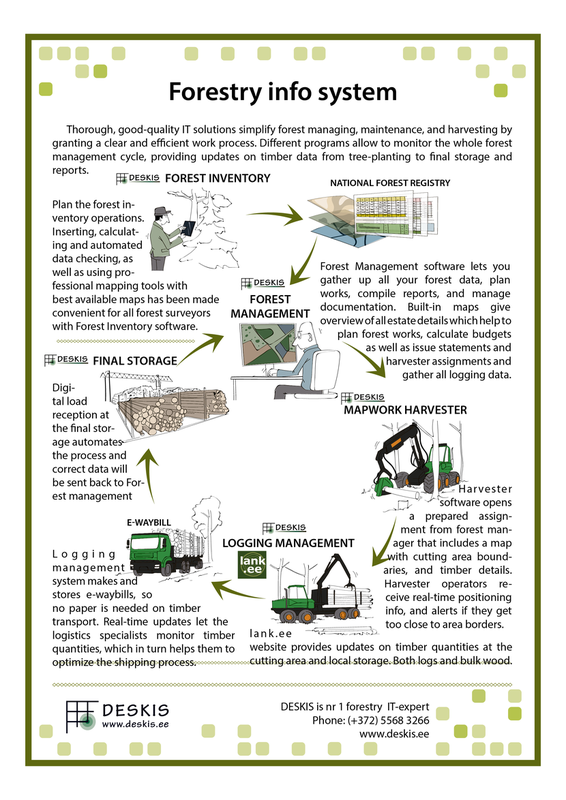 Different programs allow to monitor the whole forest management cycle, providing updates on timber data from tree-planting to final storage and reports. ©2016 - Deskis.ee - All rights reserved.